Bhubaneswar: President Ram Nath Kovind on Saturday arrived here on a two-day visit to Odisha. 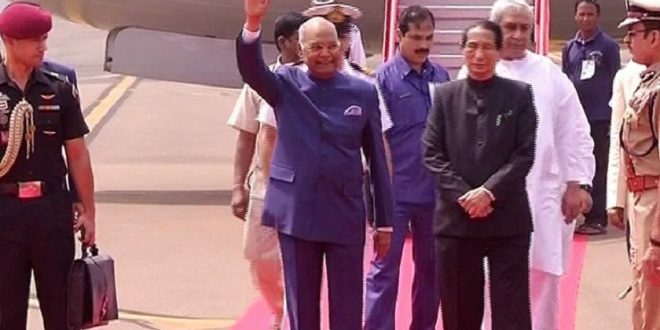 The President arrived at the Biju Patnaik International Airport here at 10.30 AM on Saturday. He was accompanied by his wife Savita Kovind and was accorded a ceremonial guard of honour at the airport. This is Kovind’s first official visit to the state after being elected as the President. The President was welcomed by Odisha Governor SC Jamir, Chief Minister Naveen Patnaik, Union Minister Dharmendra Pradhan, Chief Secretary Aditya Prasad Padhi, DGP RP Sharma, City Mayor Ananta Narayan Jena and other senior officers of the state administration. The President has commenced his engagements by paying tributes to Netaji Subhas Chandra Bose at his birthplace in Cuttack. 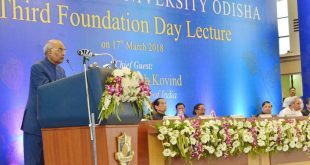 Later, he will dedicate the Anand Bhawan Museum and Learning Centre – a memorial to the late Chief Minister Biju Patnaik – to the people of Odisha in Cuttack. On the same day, he will also deliver the third foundation day lecture at the National Law University, Cuttack. 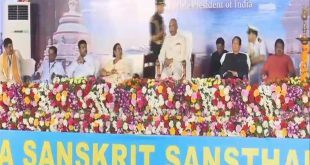 On March 18, the President will address the centenary celebrations of the Rashtriya Sanskrit Sansthan in Puri. 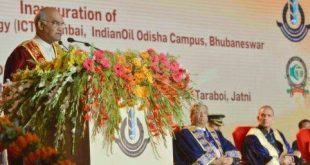 On the same day, in Bhubaneswar, the President will grace the convocation of IIT Bhubaneswar as well as inaugurate the ICT-IOC (Institute of Chemical Technology –Indian Oil Corporation) Bhubaneswar campus. He will also lay the foundation stone for the Skill Development Institute of Oil PSUs, before returning to Delhi.